So It’s National Princess Week, how are you celebrating? Or are you anti-princess? Sorry, this is not some well thought out piece regarding the great princess debate. (maybe later…) This was just for fun. As we go through our first year together readers you will start to discover my quirk (for lack of a better term). I throw parties. Detailed, involved, themed parties. I don’t do it for money, I don’t do it to be a better mommy than someone who doesn’t (cause that seems less party & more lame to me but anyway…), I do it cause it’s fun, for me. It’s something I’m good at and enjoy the hell out of. With that established, RedBird & I were talking about birthday parties and cool things to do for them when I mentioned this cake. 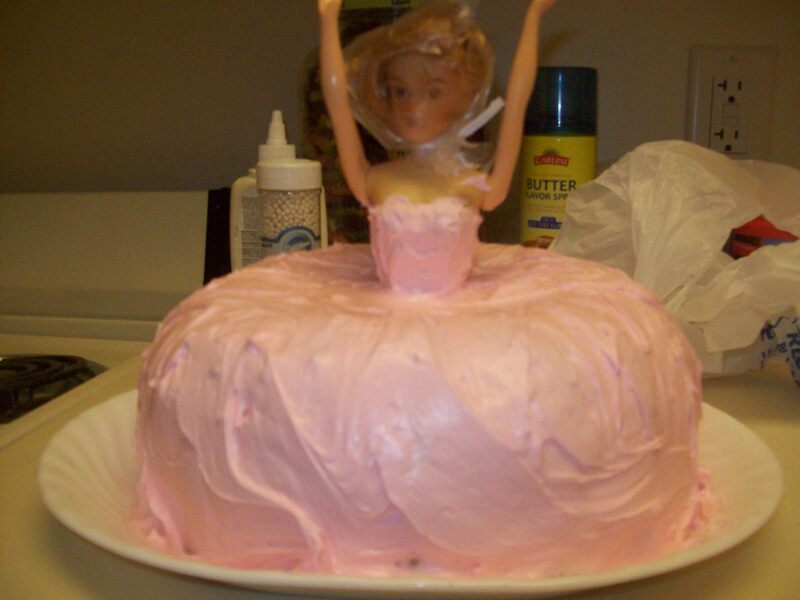 She told me how cool that would be and that she’d never had a princess cake. So what do I do? Silly, of course that you have to ask. RedBird turned 23 today & when she woke up there was a happy birthday text from me with the picture above in it. It was a good day, I think. She really seemed to be excited about her cake. Do you know a princess (you can be a princess at any age BTW) in your life that should get a princess cake? If you’d like to learn below are the basics (I even remembered to take pictures). I will say that the cake baking in the hotel was a unique experience, none of my usual baking tools, but I think it turned out pretty good, despite all that. And of course, it was fun, which is the whole point of any party IMO. Have fun & enjoy National Princess week everyone! 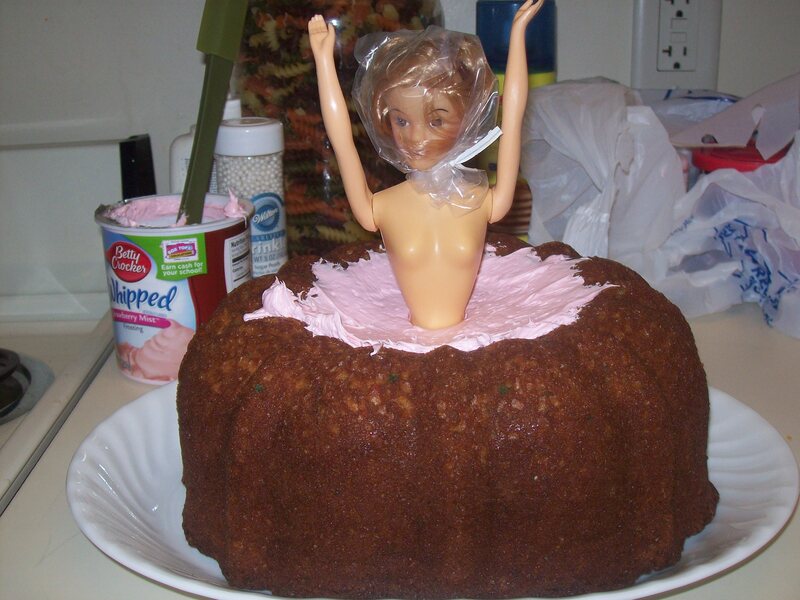 Now add a thick layer of frosting to her “skirt”. You want to avoid crumbs & this part is about covering, not looks. 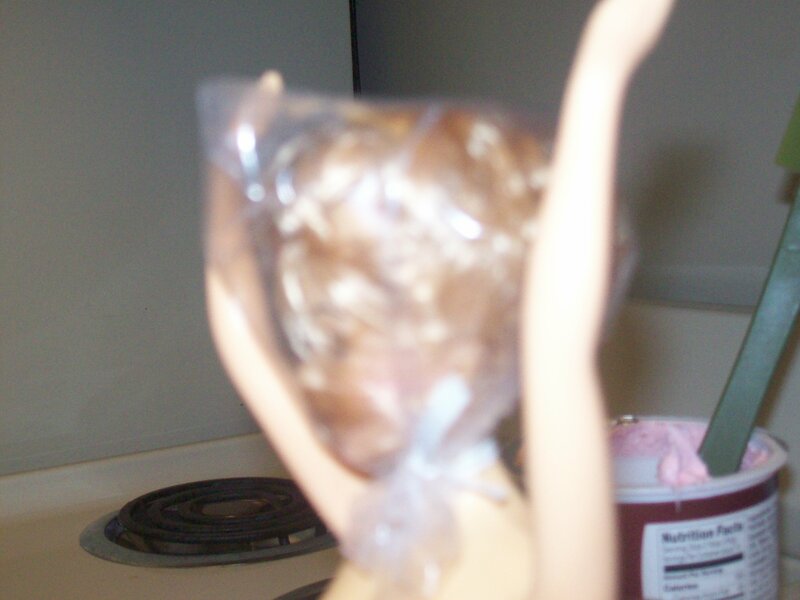 After the skirt is covered use a small spatula to frost the doll’s “top”. 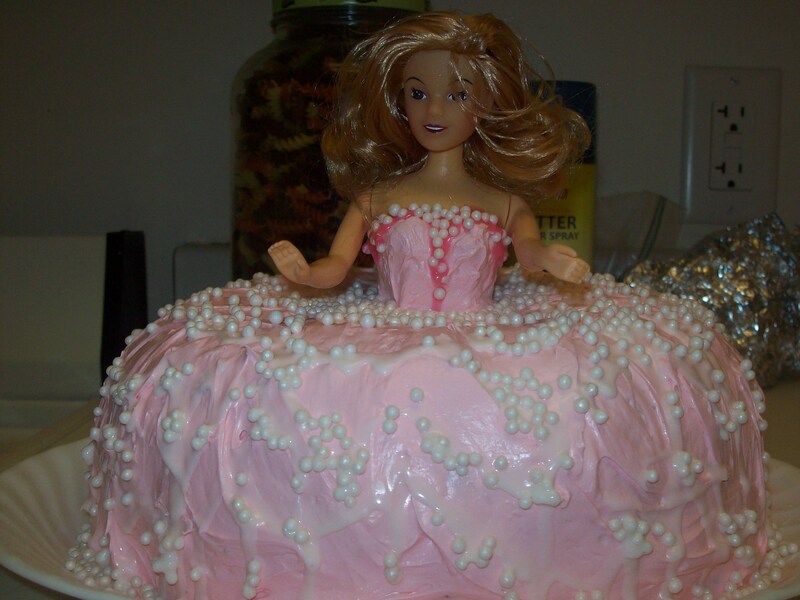 Smooth top into skirt & while being careful to not make the frosting too thin, spread it & smooth it so that it appears to start at her top and flow to the “floor” of her dress. Then leave her alone! This is a hard step to follow (thus the firm tone) walk away from the kitchen, the cake, get a drink on the way out & plan to not even look at the cake for at least 30 minutes. 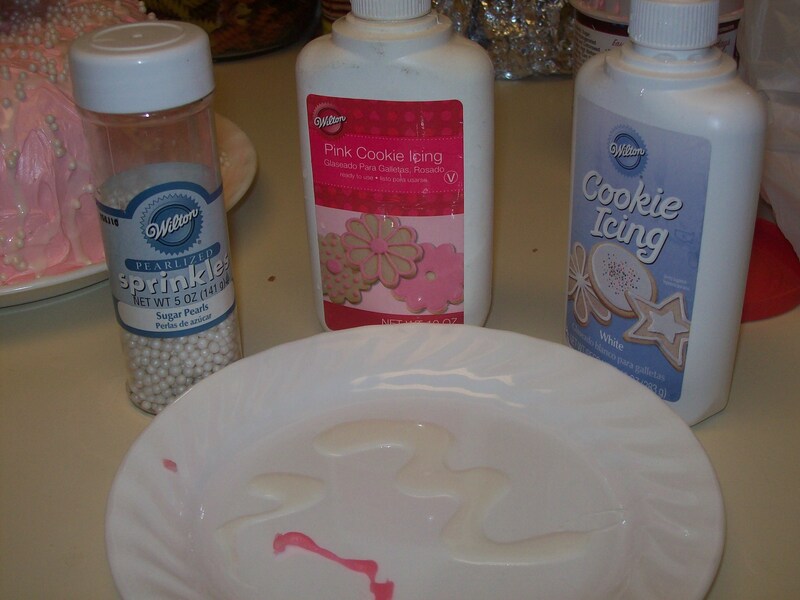 The frosting needs to set fairly well in order to decorate the dress. 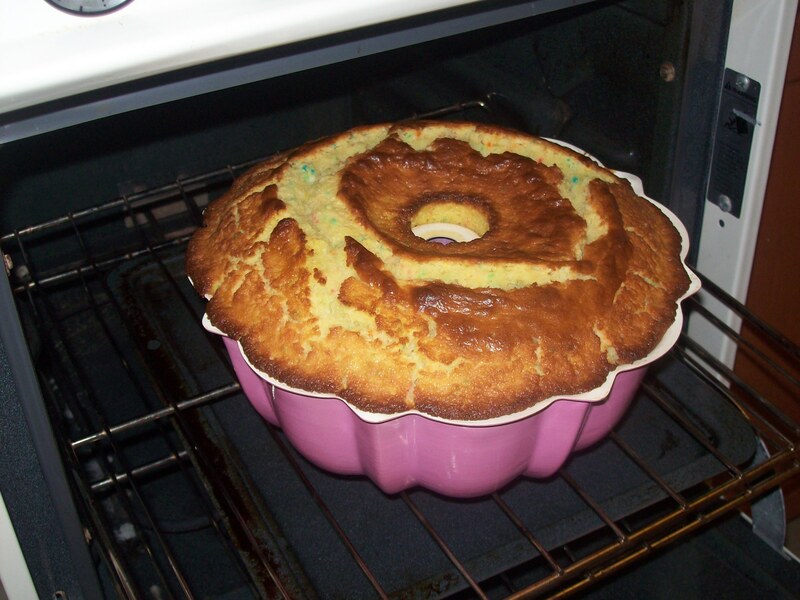 If you stay anywhere near the cake you will find yourself messing with it which will turn out bad (I promise). Now that you’ve had a break, assemble your decorating tools. I like Wilton’s cookie icing (it hardens quickly which means less running & less mental breakdowns for Mommy), for this dress i also used Wilton’s decoration Pearls. Practice (& test for consistency) on a plate before you attack the cake. Decorate as you see fit. You can also get more creative with this stage. Flowers, ribbons, stars, use your imagination. Also, keep in mind princesses don’t have to be pink (that is just RedBird’s fav color) she can be yellow, blue, purple, green, whatever you want. After everything is dry & set (usually overnight) take her “shower cap” off and bring her arms down. 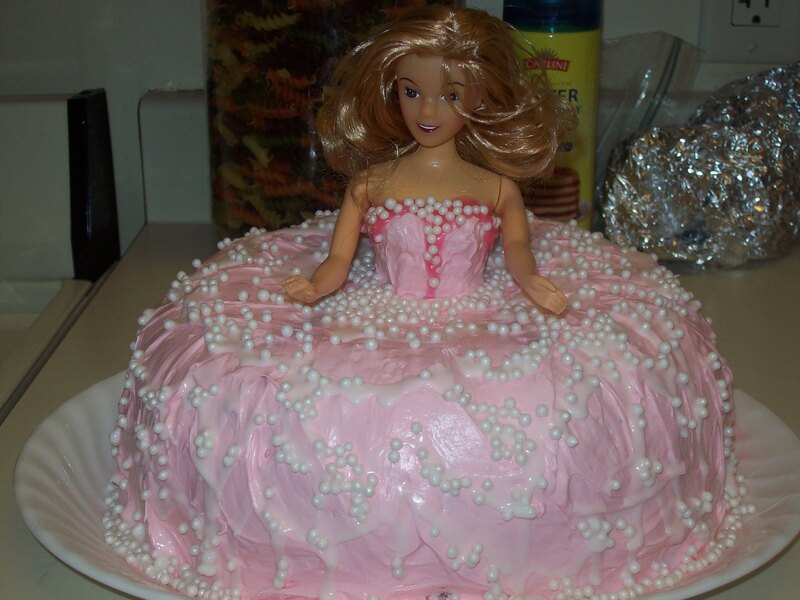 The important thing is to have fun making this cake & enjoying the smile on your princess’s face, be she 4 through 64. Happy Princess week! 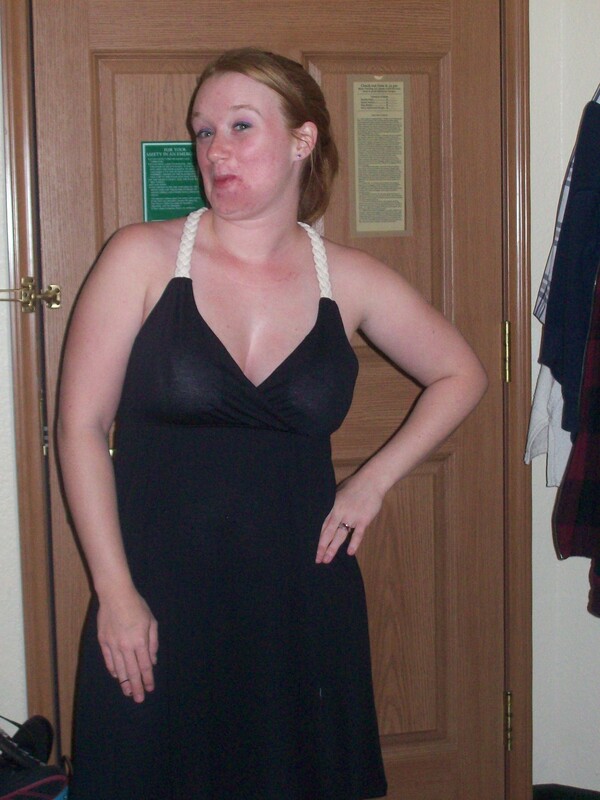 And a very lovely RedBird in her birthday dress her hubby got her, demonstrating “princess” behavior…. 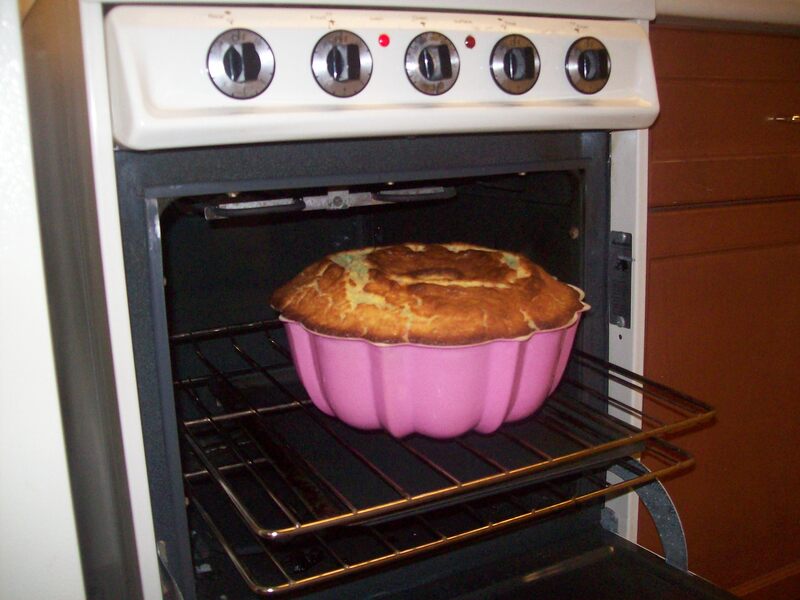 great idea – I’ve only ever seen these cakes made with a special [ie expensive] tin. I have several bundt tins that could easily wok here. thanks for the this post.